Last week i started sharing my New York Fashion Week SS17 adventures. Something you don’t know about me is that my first ever job was working as a sales person (and later merchandiser) at Tommy Hilfiger. I always loved the brand and it is so exciting to see the clothes and vision of the designer come to life on the runway and then see Tommy Hilfiger himself go down the runway with his army of models. 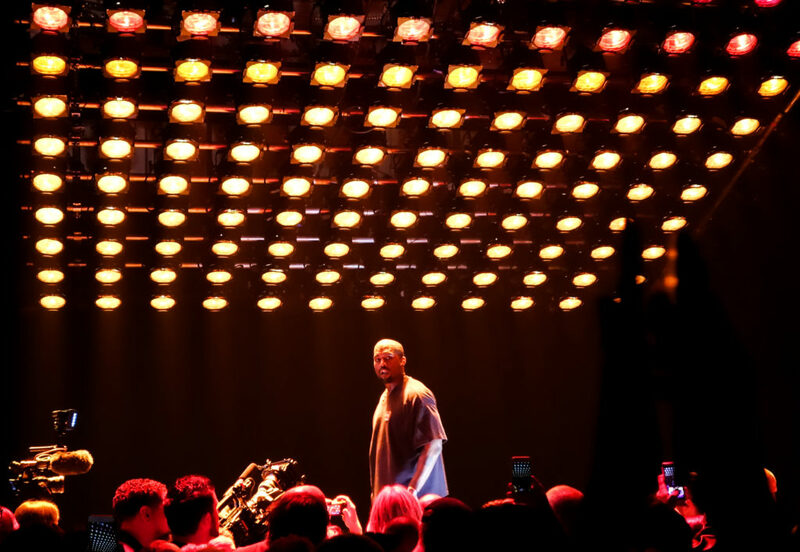 So, its not a surprise, attending his show was one of the highlights of NYFW. Tommy always puts together a spectacle and completely recreates the space. 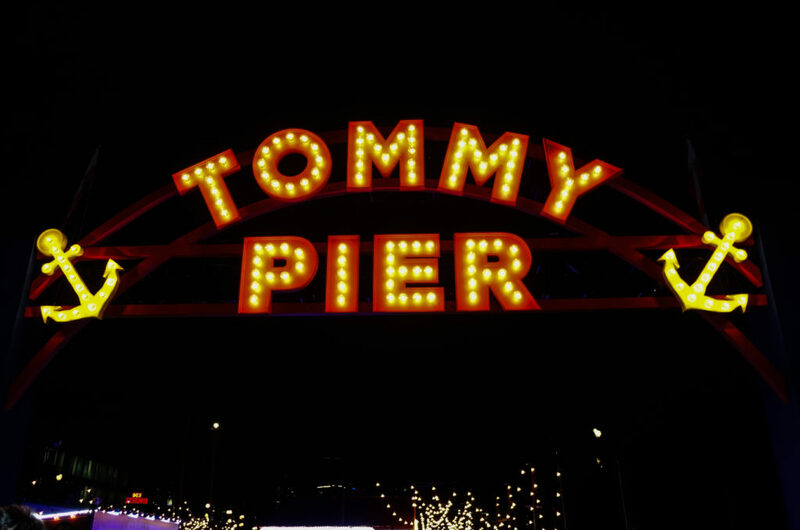 Given my passion for event/wedding planning and developing themes and design concepts, I was in absolute heaven when i arrived to the Pier where the show was held. 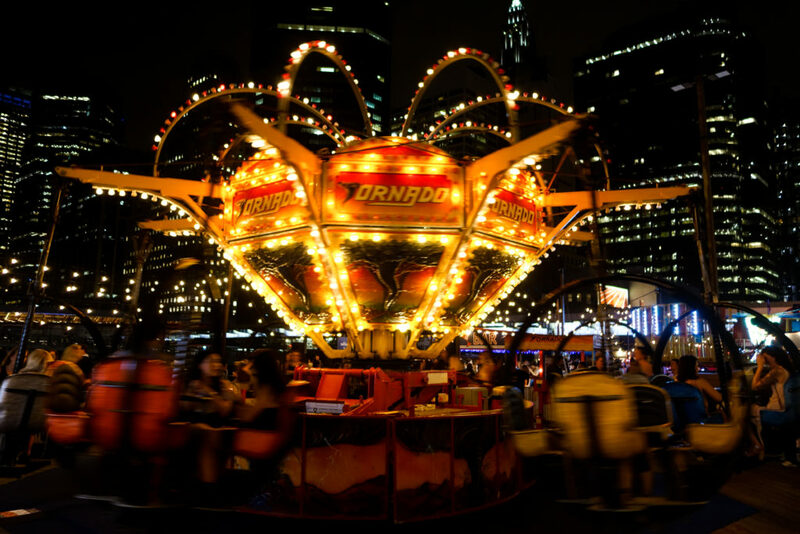 They recreated a carnival experience by taking over Pier 16 and putting carousels, wheel of fortune ride, tons of string lights, games and food kiosks. One of the longest runways I have ever seen was set in the middle of the runway with tons of celebrities as attendees, including Taylor Swift (the show was almost an hour late as we were waiting for her to arrive :/). Spring summer 2017 collection was a creative collaboration between Tommy and Gigi Hadid. After the show i made sure to get on a ride, indulge in fries and lobster rolls and enjoy a glass of rosé. Next on my agenda was a really sweet Harper’s Bazaar party hosted by Carine Roitfeld at the Plaza Hotel. If you follow me on Instagram and Snapchat, you must have seen the crowd going wild for Kanye West who killed it on stage. It was a very cool event filled with ‘who is who’ from the Kardashians to every single top model and tons of champagne courtesy of MOET but i was so tired it was hard to have fun. In the morning of the next day i was surprised to find myself feeling good a.k.a. not hungover but just hungry (duh, i forgot to have dinner the day before!). After making myself eat a huge bowl of oatmeal and a green juice, I rushed to Rebecca Minkoff show in SOHO. 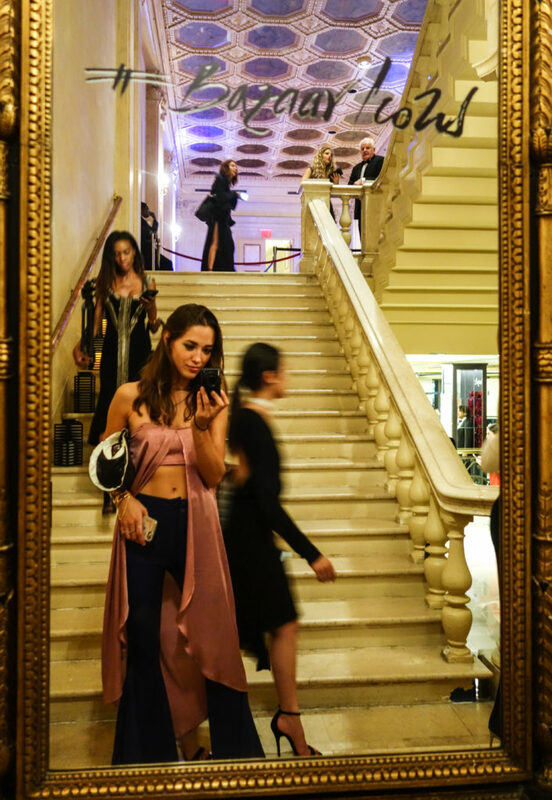 This season, the runway and seats were set outside which sounds like a cool idea…until you are in the narrow streets of Soho with tons of spectators trying to catch a glimpse of whats going on. I watched an elderly lady in crocks sneak in to the runway area with her granddaughter (i believe). When the show was over she was trying to leave as soon as possible but was smitten by the crowd of fashionsitas making their way out as well. She asked security whether they could help her out ’cause she was in a rush and heard a firm ‘No’. The scene made me laugh…it was a bit of a circus but the show was cool (fyi, a few bloggers walked the runway!) and i dig the idea of an outside show. However, it was so damn hot and humid, I am surprised noone fainted! Streets of Soho allowed for very photogenic streetstyle photos, so here noone complained. Well, except may be for the Policemen trying to clear the roads off fashion goers for the cars trying to make their way through the crowds.